In the days before the Civil Registration forced everyone to stick to a surname, people in the eastern part of the Netherlands were named after the farm they lived at. You can still see that in the surnames today: Derk te Kolste, Piet te Lintum, Gerrit Jan Hoitink, etc. Since the surname might change every time a person moved, this sometimes offers difficulties in tracing your ancestors. There are some strategies to help you solve those name puzzles. The simplest problem is when a man moves in with his wife. This is usually the case when the wife doesn’t have brothers to take over the farm. She then tries to find a hard-working husband to run the farm. He will usually change his name in the name of the farm. To illustrate how these name puzzles can be solved, I will use an example in my own ahnentafel. Reinder te Boske, son of Barent te Boske, in Lintelo, pub.bans Aalten 14-4- 1753 Geertje Oolthuis, dr. of late Teube Oolthuis, in Barlo. I then tried to find his baptism, which didn’t cause me any trouble. Reijnder, son of Berent and Beerndeke te Boske was baptized in Aalten 20-10-1720. Hendersken te Boske, bapt. Aalten 04-05-1710. Kunneken te Boske, bapt. Aalten 06-09-1711. Henderken te Boske, bapt. Aalten 07-10-1714. Hendrina te Boske, bapt. Aalten 30-05-1717. I tried to find the marriage of Berent te Boske to a person named Beerndeke, but I didn’t have any luck. I did find a Berent Kressers, son of Henric Kressers from Winterswijk, pub.bans Aalten 28-04-1709, m. Aalten 26-05-1709 Beerndeken te Boske, dr. of Reijnder te Boske, in Lintelo. I supposed he moved in with her and took her name. The name of Beerndeken te Boske’s father Reijnder also pointed in this direction, since it was normal in those days to name your children after their grandparents. Normally, I would have found this evidence conclusive enough, but later I found my hypothesis proved by the list of rotmeesters from Aalten in 1748, were in Lintelo was mentioned Berent Kressers, bouwman (farmer) at te Boske! Work from a hypothesis. It’s easier to prove something than to invent it altogether. Write down all the siblings of the person you’re looking for. Since children are usually named after grandparents it can help you to make a hypothesis. Write down all the godparents of children. These are normally related; very often aunts and uncles, or grandparents act as witnesses. Don’t stick to a man’s surname. If you can’t find the marriage you’re looking for, try if a man with the first name you’re looking for is marrying a woman with the last name you’re looking for. He might have moved in with her. Also look for names of previous spouses. For example: Willemken te Huijstede, widow of Dirk te Lindert, married Jan te Hengeveld. Their children, however were baptized as ‘te Lindert’. From this you can conlude she stayed on the ‘te Lindert’ farm after the death of her first husband and the second husband moved in with her. If people live in neighbourships near the border of two church communities, try the other community as well. Many people from Woold in Winterswijk had one or more of their children baptized in Bredevoort. If the husband and the wife come from different places, look up both the marriages. There might be some additional information in the other one. Check the church records whether the people you’re looking for were members of the church. If they came from another town, they had to show an attestation from the former community. Read in magazines how other people attacked their problems. Maybe the same trick will do it for you. Judicial records can also give a lot of information on relationships between people. Last wills can give you an insight of family relations. For the Achterhoek area in the mid 1700’s, try the ‘Liberale Gifte’ of 1748. This is like a census record and lists all the families at that time. If you want an example of how to solve farm name puzzles, check out the Case Study – Working with farm names. 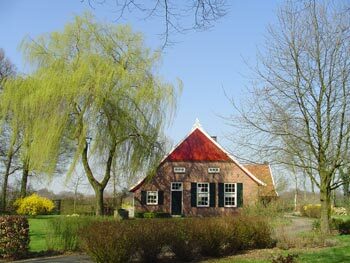 Yvette, so many of my Dutch ancestors from Gelderland have surnames (farm names, I assume) that end in -ink. Can you translate any meaning of that syllable in English for me? Thanks for this informative article about farm names that you posted to the German Genealogy FB group. I have a general question for you — I suspect that my Robrecht ancestors came to Paderborn, Westphalia from Holland around 1550, but there’s no paper trail predating the church books where I found my Robrechts living in the 1660s as peasant craftsmen in Bühne, Höxter, North Rhine-Westphalia, Germany. My question: Do you know of any circumstances that may have lead Dutch Robrechts and/or other Dutch folks to migrate east to Westphalia (the Bishipric of Paderborn) in the 1500s? Any comments appreciated. Thanks!